Our previous album Nightporter is still internationally available, our first live album “BlackBlue” is sold out. Our new album Straight Stories is released at the end of September 2017, and available on Spotify, iTunes, Google Play, Apple Music, Deezer, Amazon, Qobuz and many other platforms. At most internetstores like iTunes, Apple Music, Google Play, Amazon and Bandcamp it’s also possible to buy only one or two (or more) of your favorite tracks. For people who don’t live in the Netherlands our previous Chabliz- album Nightporter is also available at Amazon , and on all the internet-channels above. Our new Straight Stories album is released at the end of September 2017. 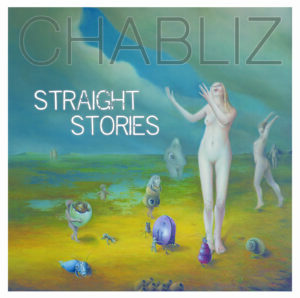 It’s possible to order a physical copy (cd) by sending us an email (to info@chabliz.com). The price is 10,- euro, excl. porto / shipping costs. It’s also possible to buy Chabliz- T-shirts now ! Please send us an email for more info. Please put your size in it. (s, m, l, xl, xxl).